C.W. Conner is a self-taught artist who has worked with painting, drawing and wood carving over the past 30 years. 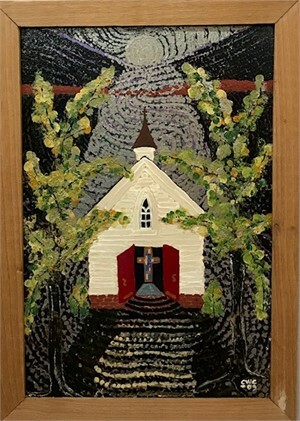 Mr. Conner's art reflects his humble beginnings in the rural American South and his adult life experience in the "big city" His unique painting method useds found objects and materials like old barn wood, tin roofing material and various types of house paints along with more traditional art materials. Mr. Conner's work is included in several private collections and is currently being shown in galleries and shows around the U.S. and abroad. C.W. Conner is a self-taught artist who has worked with painting, drawing and wood carving over the past 30 years. 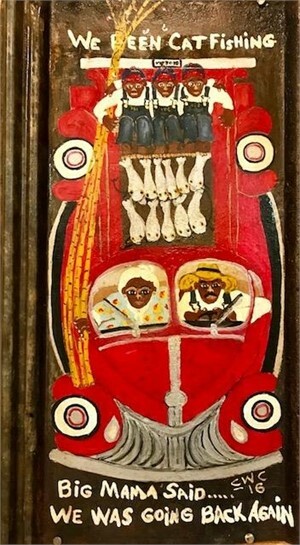 Mr. Conner's art reflects his humble beginnings in the rural American South and his adult life experience in the "big city" His unique painting method useds found objects and materials like old barn wood, tin roofing material and various types of house paints along with more traditional art materials. Mr. Conner's work is included in several private collections and is currently being shown in galleries and shows around the U.S. and abroad.